You start process which supposed to send task notification. Notification not delivered and there is no error messages logged nor in K2 host server log, MSMQ diagnostic log nor in Eventbus.ClientRecorderError table logged at the time of task assignment. Obviously process does not go into error state as notification delivery performed on “best possible effort” principle and not preventing user from completing assigned task using his worklist which can be exposed through different UIs. 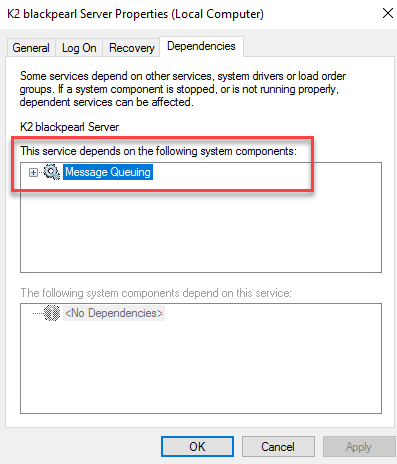 This means that Message Queuing service on K2 server was not running at the time of K2 server start. 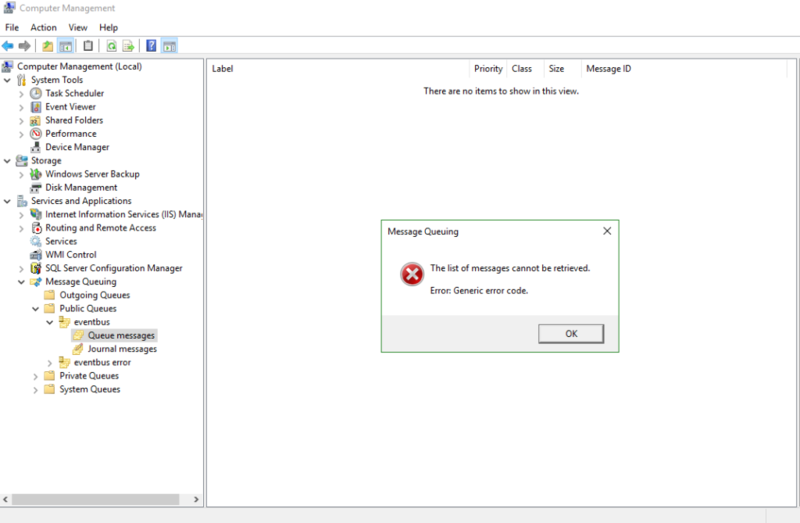 To resolve this make sure that Message Queuing service is up and running and restart K2 service – unfortunately there is no other way to reinitialize MSMQ processing thread which gets initialized on K2 service startup. As per MSFT documentation this setting ensures than on machine startup services listed as dependencies are started before attempting to start service which depends on them. This entry was posted in K2, Tech and tagged MSMQ, Task Notifications, Troubleshooting on March 20, 2019 by Mikhail. You can find sample PowerShell script for starting multiple process instances in K2 Developer Reference, below you can find just slightly modified version which I am normally using. I’ve only added some variables to specify desired number of instances, project and workflow name along with folio value. 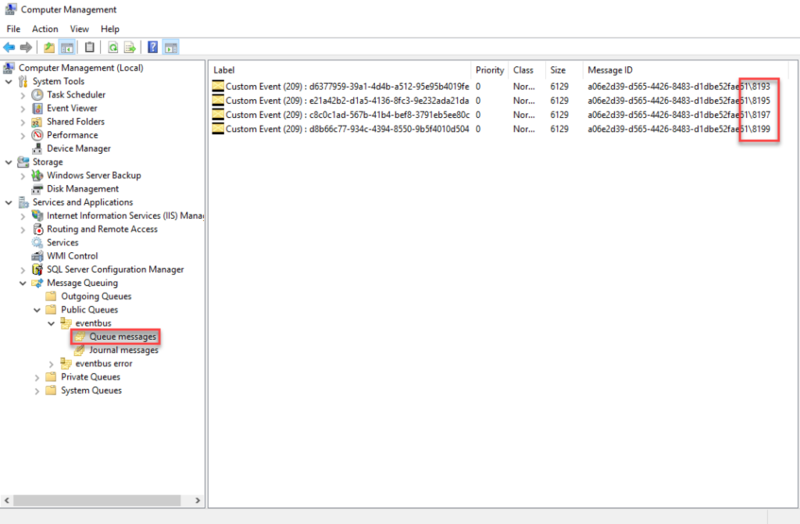 This entry was posted in K2, PowerShell, Tech and tagged K2, PowerShell on February 26, 2019 by Mikhail. Really good job on K2 documentation team side 🙂 I really see that product documentation becomes better and easier to use. 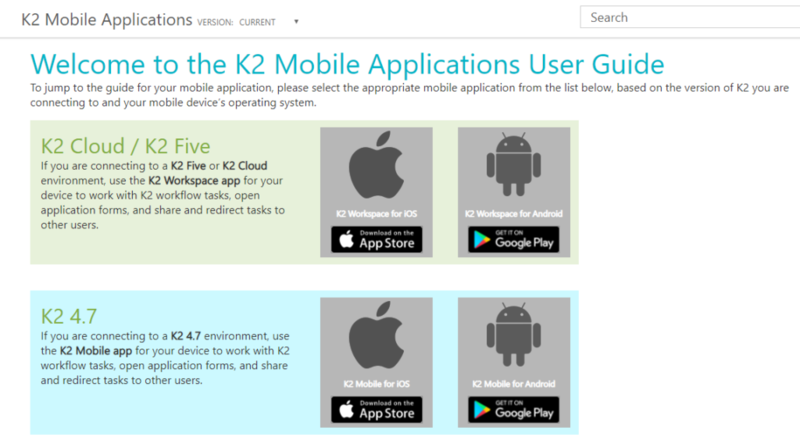 This entry was posted in K2 and tagged documentation, K2, K2 Mobile, K2 Workspace, MDM on February 1, 2019 by Mikhail.